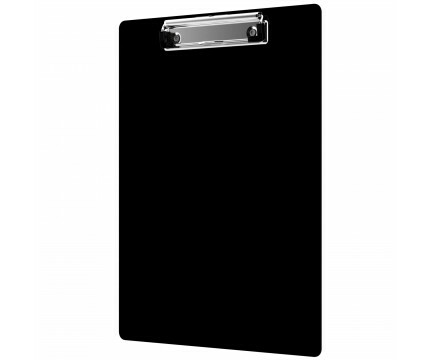 Full size black plastic clipboard with lightweight design for daily use. Ideal for taking notes, writing information, or simply having a place to write. 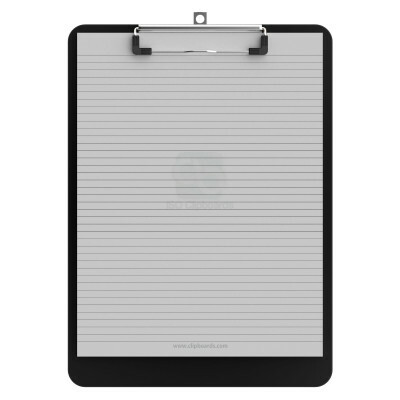 Full size clipboard to help you stay organized and comes with the first notepad free of charge. The ISO Band is our exclusive elastic rubber band to secure all your documents and prevent flaring on our folding ISO Clipboard. Use this band with any of our full-size clipboards to help secure and protect your documents and hold down paper inside your clipboard.Click here to see our full selection of available bands and colors. Our 8.5 x 11 notepads fit the Essential clipboards perfectly with removable sheets! Click here to see full details. Make sure you get the perfect clipboard for you! 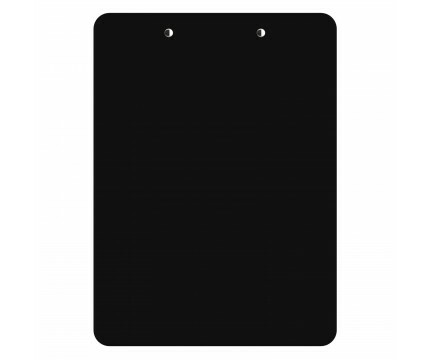 Click here for our other Essential Clipboards! 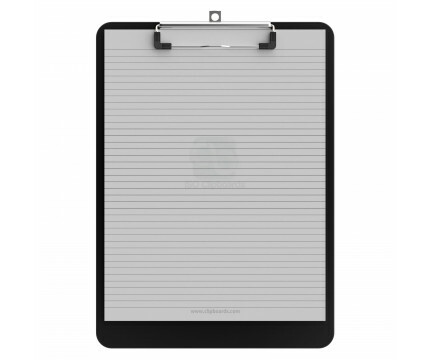 Select from our available clipboard accessories! Preferred Paper Size Letter | 8.5" x 11"